A new world, a new adventure: Welcome to World to the West! Today is a GREAT day for us. 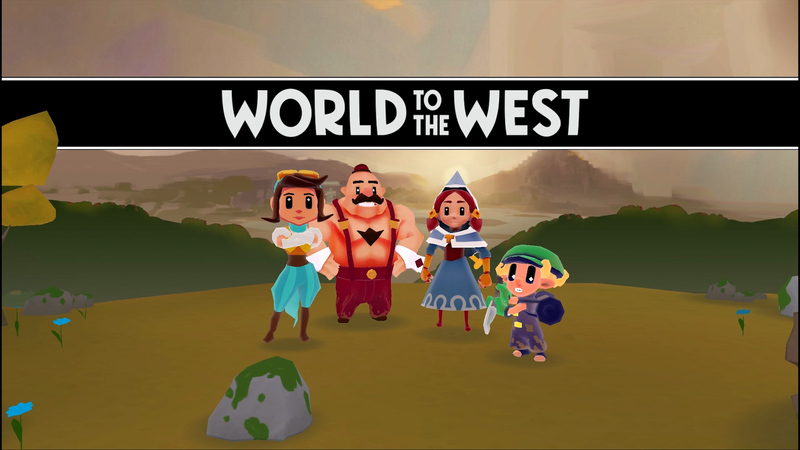 After a lot of hard work and secrecy, we finally announce our new title: World to the West. A top-down action puzzler where we maintain our artsy style, which defines us as an indie studio, and with a longer and ambitious storyline. Players will control them as they explore new territories and look for their destiny, and will use their unique abilities to solve puzzles and defeat terrible foes. Brute force won’t be the only way to beat your enemies though: you will be able to convince them to cease from their hostile intentions… or just avoid them, if you’re a pacifist on the inside. It’s your call! Phew, what else? We can’t confirm either the platforms nor a release date yet, but we’re working on bringing our game to as many of you as possible. World to the West is going to be showcased for the first time ever at the GDC, in San Francisco, California March 16-18 at GDC Play (our booth is PL221), along with Teslagrad. So please come say hi, and be one of the first players of our new adventure! Keep up to date of our news in our website, Facebook and Twitter. This entry was posted in News, World to the West and tagged annoucement, GDC, World to the West by Mariela González. Bookmark the permalink.